How do Amish pump water? This is the most common configuration for a well pump in the Northern Indiana community. A water pump driven by a Honda engine. This picture was taken in one of the houses we looked at buying. This particular unit was located in a side room of the barn. Most units are located outside, some especially in older homes are located inside. Many units are autostart, meaning they switch on when the pressure in the water tank drops too low. The flexible stainless steel line is the exhaust. Green tank is the water tank. Battery was recharged by a solar panel. Hondas are the most popular engine here in Northern Indiana. Here is a closer photo of the automatic start. HM Lektronic is the local Amish-run business which makes it; the owner of the company apparently also invented this device. 18 responses to How do Amish pump water? Amazing. Things like this picture make me realize how many things that I just take for granted. Like just turning the handle on the faucet and getting water for example. In the Amish community I’m familiar with, no motors are allowed. They have only a hand pump on the back porch. Lattice, that’s what I expected to see here. Then I see this modern style pumping devise!! This would be a little fancy for some Amish, you are right. Lattice do your Amish not use any engines whatsoever? Swartzentruber Amish for instance do use diesel engines for certain purposes. We could certainly add some other ways of moving H20 here such as hand pumping and windmills. I cannot think of any Amish who do not allow small motors, including the Swartzentruber in TN and KY. I was actually referring to the Old Order Mennonites in Delano, TN, Holland and Scottsville, KY, none of whom are allowed motors…not even chainsaws. Sometimes, as most people think Mennonites drive cars and use electricity, I fall into a convenient error of referring to them as “Amish,” so I don’t need to go into an explanation of how conservative they actually are. I shouldn’t do that, as I know they would not like it. Gotcha, thanks Lattice. These are the same or similar group of folks the Swartzentruber Amish wonder about. Don’t forget that there are different orders of ahmish. Mennonites can even drive cars and such. My dad had a similar setup back in the 60’s in Northern Indiana before we left the Amish. Our’s was in the basement. My grandpa had a button he pushed in his closet to start his water pump in the basement. I must admit I had not given this much thought before. I too was expecting the old hand pump type system. This was a bit of a shocker but leave it to the Amish to come up with a way that will fit within their ordnung and still pump water through the house!! I have to agree with Tom, we sure do take a lot of things for granted, this being one of them. Mark’s water is pumped by a Honda engine that has been converted to run on propane. The same propane that he uses for his lights, refrigerations, and heat. It starts up automatically. He didn’t always have this. 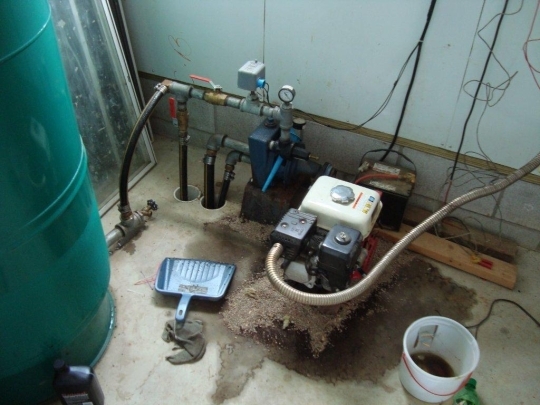 When he first bought his place the water was pumped by a Honda gasoline engine. You had to go down in the basement to pull the cord when the water pressure went down. This leads to a funny story. I hope Mark doesn’t get mad if I share it. Not long after Mark moved and joined the Amish he was still adjusting to his new non-electric home. Anyway, he was taking a shower and had gotten himself all sudsed up and shampooed and the water pressure went down to nothing. That meant he had to get out all soaped up, throw on a robe, and traipse down to the cellar to start the motor up, again. The motor wouldn’t start. The tank was plumb empty of gas. He got the can he kept in the cellar to fill the tank. It was empty, too. That meant he had to put on clothes over his sudsy self and go out to the barn to fill his house can from the ones out in the barn. Then come back to the house, fill up the gas tank on the pump engine. Start the engine up so the water pressure would build up. Then he could go back to his shower to finish his shower and rinse off. I think that was the last time he forgot to keep his gas tanks full. But not too long after that he had the propane engine and water pump installed. Hmmm. I wonder why? Oh wow, that was a misadventure for Mark, wasn’t it? When I began reading this post [Erik’s initial post] I had the voice of little Samuel (“Witness”) in my head explaining the water pump to Book, I don’t think it would be the same scene if the little kid tried to explain this post’s pump. Just updated the post above with another photo of the auto-start device. Don, Mark’s story sounds like one that might generate some good-natured ribbing among those who know it. Lessons learned the hard way you usually never forget. THAT is a funny story, no doubt. If I were Mark, I’d try my best to make sure as few people as possible knew that story. Now a bunch of us know it, but luckily for him we don’t know him! I’d love to see a video of the whole operation of this pump—solar panel included. 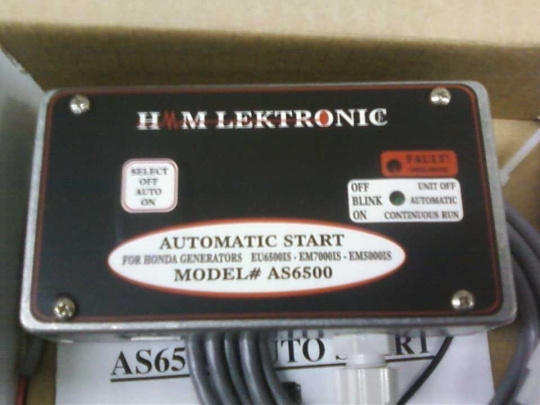 I’m quite impressed about H.M. Lektronic & the inventor of the auto-start. I see it says, “For Honda generators.” Did he need permission to use the name (Honda) or did he work with the company to produce his invention? Just curious. Al, in the Chicago area, many people would haul empty gallon jugs to the forest preserves just outside the city & “hand pump” water to haul home for the same reason you gave—better taste. This was 30+ years ago—I don’t know if they still do it, what with aquifers drying up with the recent drought. This system is very common in Northern Indiana; I have heard in Ohio they are using submergable pumps that run on air pressure now. In the Midwest, pump jacks run by gas engines are still very common. That would be in places in Wisconsin, Missouri, Iowa and similar communities in the midwest. When you start getting into the details of the differences between Amish/Mennonites and even between the different communities of Amish I doubt that there is anyone who knows for sure what and why the differences are. Church split after church split have contributed to this as well. I’m wondering if anyone has contact info for HM Lektronic or knows the approximate price of that controller. 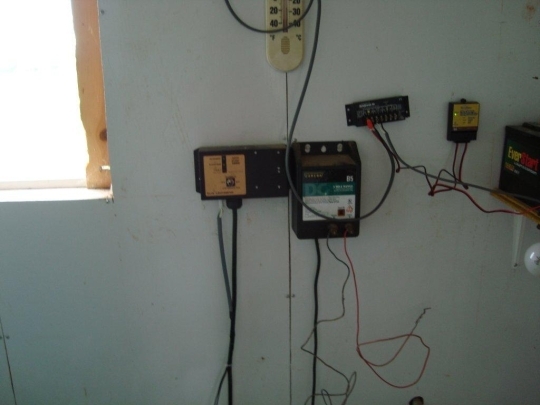 I’m not Amish but have a similar need – off-grid, want to start a generator from a pressure switch. The Amish property we bought in Pepin County WI had a submersible pump powered by air pressure. They took that pump with them (to Nebraska) as a condition of the sale. Leave a reply to How do Amish pump water?